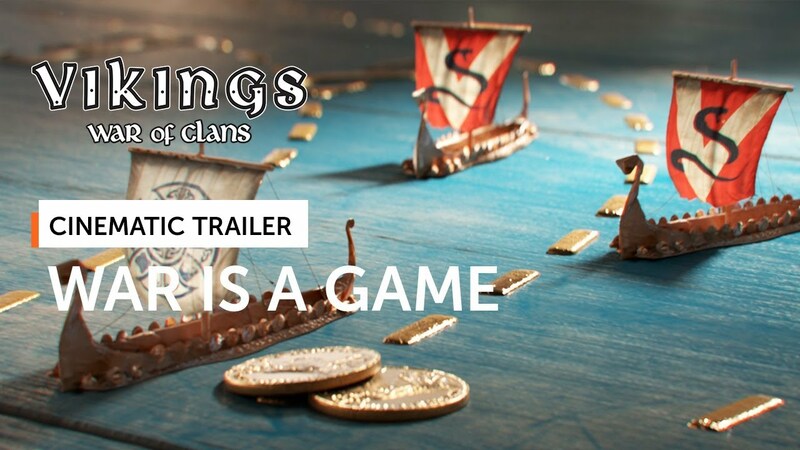 Vikings: War of Clans – military-economic online strategy with high-quality graphics, dedicated to the wars in the time of the Vikings, where the player takes the role of Jarl of a Viking town. Originally developed for mobile devices, the game is now available on your PC for free. Players will need to fight to gain valuable resources that can used to create different types of troops, new buildings, warships, modernization and weapons. You will start playing with a very small ruined village. As you improve it and train your warriors, they will become more resilient and able to defend the city from your enemies or attack them and capture new lands! Vikings: War of Clans it apart from other MMORTS games (e.g. Stronghold, Total War), which placed in medieval settings, adding its own unique style of the Vikings to the game. To achieve success in Vikings is extremely difficult, but the reward will be worthy – gold, power and universal respect. Play intelligently, look for reliable allies and good luck on the battlefield.